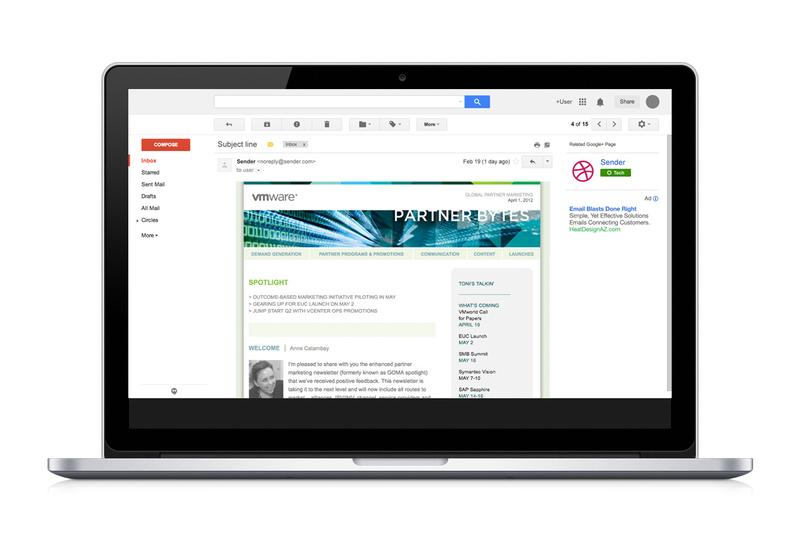 “Partner Impact” was a combination monthly email newsletter and email marketing blast targeted for their main customer base. 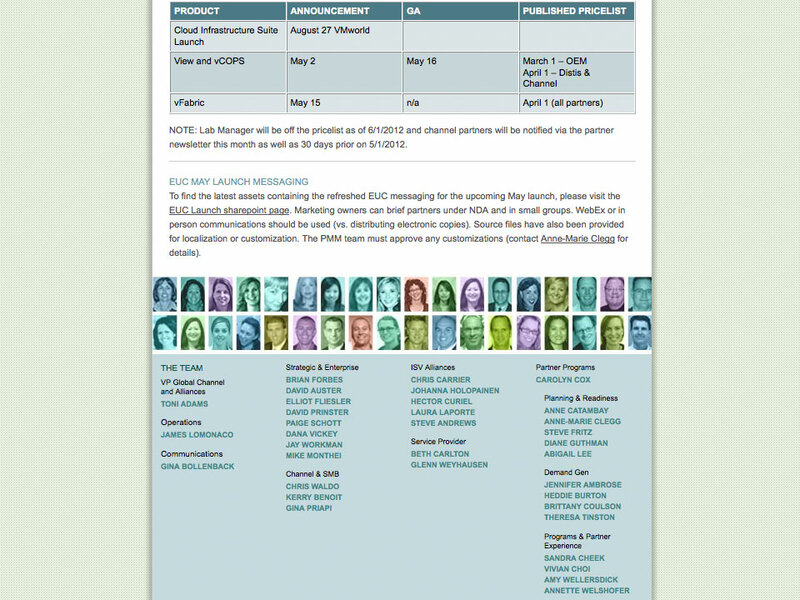 The newsletter contains information about upcoming webinars and events company wide. The code of the newsletter was developed in a way that would quickly render on the screen. The goal of the newsletter was to include who, what, when, why and how in the most concise way possible. 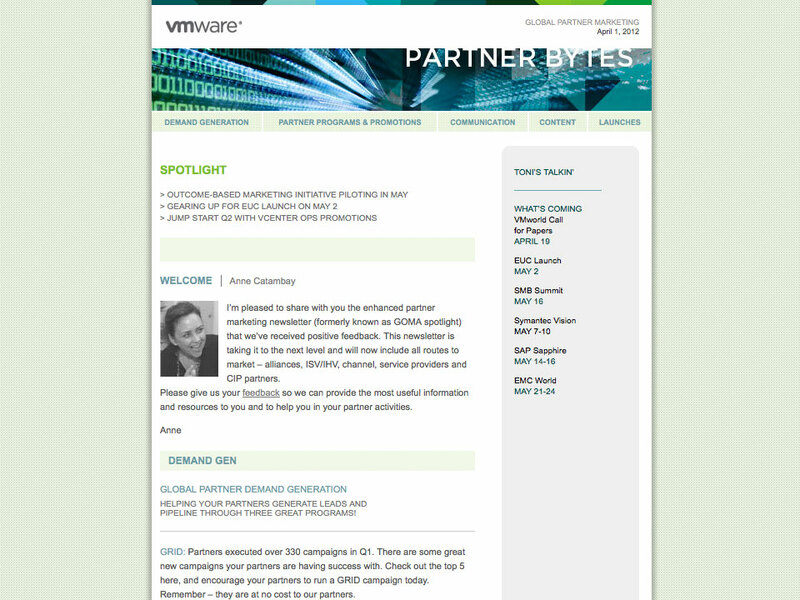 In addition, offer links to VMware’s site that provide further detail on events, and to include engaging highlights and information in much more detail.